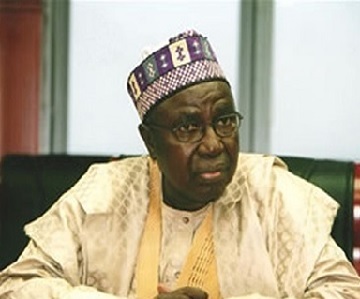 News Rescue - Former Minister of Foreign Affairs, Alhaji Aminu Wali, has explained why he collected the N950 million campaign funds for Kano State. Wali was arrested on Thursday by the Economic and Financial Crimes Commission (EFCC) over the campaign funds. Speaking on a local radio programme monitored in Kano yesterday, the former Nigeria’s Ambassador to China admitted receiving the campaign funds as the head of a seven-man committee for Kano State. The committee also included former Minister of Education, Malam Ibrahim Shekarau; Senators Bashir Lado and Bello Hayathou of the Seventh Senate; Kano State chairman of the Peoples Democratic Party (PDP), Alhaji Rabi’u Dansharu and Goodluck Jonathan Campaign Coordinator, Mansur Ahmad. He, however, insisted that the money was taken to Shekarau’s house where it was shared. Wali said he did not benefit personally from the campaign funds. The former minister stated that he only collected the money from Abuja because he was the most senior in the committee. The former envoy said he subsequently handed over the money to the committee, which now shared it in Shekarau’s residence in Kano. Among the beneficiaries of the campaign funds, according to Wali, are Shekarau, Ahmad, Dansharu, Lado and Hayatou. The former minister said he was only invited by the EFCC to explain what he knew about the money and he was allowed to take his leave. Shekarau may appear before the anti-graft agency to explain his role in the sharing of the N950 million campaign funds. A source said the commission had invited Shekarau to its Kano office today to answer questions relating to the funds. The EFCC had, on Thursday, grilled Wali and ex-Minister of State for Foreign Affairs, Dr. Nurudeen Mohammed. Both Wali and Mohammed served in the Goodluck Jonathan administration. Mohammed was alleged to have collected N500 million from the campaign funds. It was learnt that the amounts were part of money said to have been allegedly budgeted for the 2015 general elections by Mrs. Diezani Alison-Madueke, the former Minister of Petroleum Resources. Also, operatives of the EFCC, last week, arrested the Cross River State Chairman of the PDP, Mr. Ntufam John Okon. Okon was arrested in connection with the $115 million campaign funds. The Managing Director of Fidelity Bank, Mr. Nnamdi Okonkwo, has since been in the custody of the anti-graft agency over the money. One of the sources, which spoke on condition of anonymity, said the PDP state chairman allegedly, received N500 million from the campaign funds. Okon was arrested on Thursday in Calabar, the Cross River State capital. Meanwhile, former Minister of Aviation, Chief Femi Fani-Kayode, will appear at the EFCC office in Abuja today. Fani-Kayode, who was director, media and publicity of the PDP Presidential Campaign Organisation in 2015, was said to have received N840 million for the campaign project. Operatives of the EFCC stormed Fani-Kayode’s residence on Friday after an invitation on the former minister to appear before the commission today. Some members of the party, including former Imo State governor, Chief Achike Udenwa; former Minister of Finance, Mrs. Esther Nenadi Usman and ex-Minister of State for Foreign Affairs, Prof. Viola Onwilari have been invited and questioned by the anti-corruption agency in relation to the campaign funds.